So where do you start and how do you choose THE buyers agent that’s right for you? Firstly, smart move. 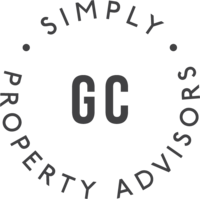 Working with a professional to secure your next property is one of the wisest decisions you’ve made so far - your sanity and your bank balance will thank you for it later. So who do you use? Who can you trust? Who’s going to get you the most desirable result? This is one of the first crucial decisions you’ll make along the road to purchasing a property because who you decide to work with now will greatly affect the outcome. If you’re anything like us - you want the most experienced guy (or gal) in your corner when making big financial moves like this. But what does being the most experienced even mean? Well, the guy that’s just quit his job at the ice cream shop, has probably only purchased a handful of properties in his life and is faking it till he makes it, probably isn’t your guy. Nor is the big wig that has a team of experts that ‘specialise’ in Brisbane, the Gold Coast, Sunshine Coast, Sydney and (anywhere you want to buy really). 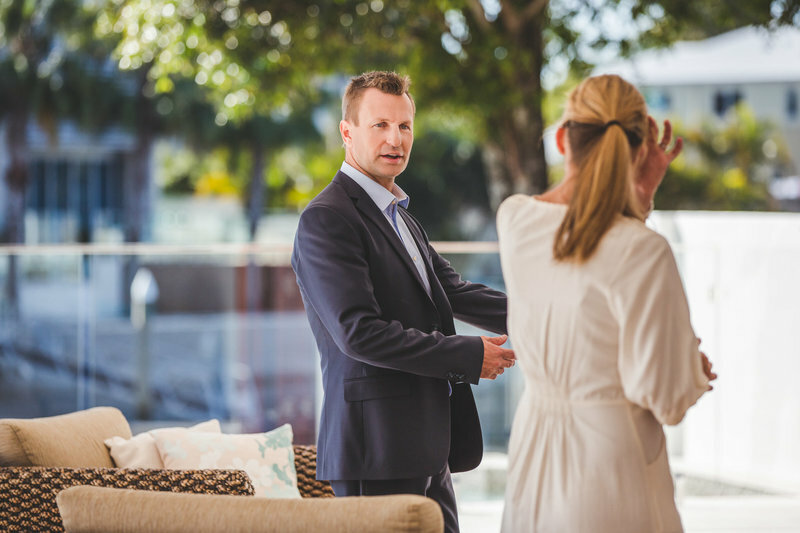 We work hard to keep a handle on the Gold Coast region (all 125,000+ homes and 6,000+ selling agents) so anyone who claims to be a ‘specialist’ in all areas is more than likely a jack of all, master of none. I'd also question the independence of the investment specialists that carry a handful of pre-vetted 'premium investment stock' and claim to be the leading agency or #1 agency - according to who? I want to cry every time I see 'professionals' promote that they are Buyers Agents of the Year (if only they really knew how hard it is to win these awards - you can see a list of actual award winners here). Stop it. I know I sound so cynical but we've seen it all and really: Integrity. Is. Everything. Anyone with a week to get their license and someone else’s cheque book can be a Buyers Agent, right? But does that get them the same results 15+ years of experience, thousands of inspections and hundreds of negotiations does. If you’ve done your research and we hope you have, and shopped around - you’ve probably got 5 or 6 emails sitting in your inbox from various Buyers Agents by now all saying a pretty similar thing. "Book your FREE Strategy Consultation" or "It’s great to hear you’re considering investing in…" I know, I know. Sounds familiar doesn’t it. Marketing spiels and glossy brochures aside, here’s 8 questions you should be asking before you decide which Buyers Agent is the right fit for you. Know that the property industry isn’t regulated which means you can become a buyers agent after doing a 4 day real estate licensing course - in my opinion this doesn’t make you appropriately qualified to give property advice, it just means you know how to fill out the paperwork. There are a lot of fly by nighters and unsuccessful selling agents turned buyers agents thinking they can make a quick buck. They might front as the most affordable option but in the long run they could end up costing you thousands. Pro-Tip: Watch out for the selling agents ‘assistants’ who call themselves ‘Buyers Agents’ (clever little things). They may be quite helpful and run you around looking at property but at the end of the day, they’re still a sales assistant (generally with little to no experience) and their job is to convince you to buy whatever it is they’re agency is selling. WHAT INDUSTRY ASSOCIATIONS DO THEY HAVE? Are they a member of the REIQ - Real Estate Institute of Queensland. Are they a member of REBAA - Real Estate Buyers Agents Association, which is the national buyers agents association. Not all industry associations have a very high entry point. Fill in the forms, pay your fees and you’re in the club. So although there are many associations out there, if they’re not a member of the two above I’d be asking why. It’s not the letters behind ones name - it’s the time they’ve spent learning their area of expertise. Like you wouldn’t see a surgeon that didn’t have formal qualifications, I wouldn’t trust my hard earned cash with a property advisor that wasn’t formally trained. As long as it’s property related - need I say more. What tertiary qualifications do they hold? Every day is a new day and the industry is always changing but property is a long term game so I wouldn’t trust my money with anyone with less than 10 years experience. Proof is in past performance. Ask if you can talk to some of their past and present clients. Ask for some real examples of what they have purchased in the past and how it has performed. While we're here: Take the Lett’s family for example; last week (at the time of writing this) they called over the moon that they had just had their place re-valued with the bank (we secured it for them before it hit the market just over 3 years ago) and it had increased from their purchase price of $700,000 to a tidy $1,000,000 (full disclosure they had done about $60k worth of renovations to tidy the property up). The Morrison’s who we’ve helped buy 4 properties now, had one of their properties which was purchased in 2015 for $650k recently (2018) valued for $950k. We’ve just secured them their 5th property which is a commercial premises for their business to operate out of. You can read all about our clients over here and we’d be more than happy to put you in touch directly for a chat with any of them too. DO THEY HAVE THE SKILLS AND EXPERTISE TO DELIVER WHAT THEY PROMISE? Or do they claim to specialise everywhere? This is such a biggie that is so often over-looked. We only service the Gold Coast which is around 125,000 homes and I would question how someone even specialises in the whole of Brisbane let alone all of South East Queensland. Be wary too, there are many Southern firms that have seen the value Queensland is offering and are ‘basing’ teams in Queensland (they might fly in once a month) to service investors that want to purchase here. The stories of Agents buying sight unseen are pretty S.C.A.R.Y. Buyers Agents flying in to buy properties on behalf of their clients are no different to you flying in to secure a property - selling agents know they can demand a premium and they’re getting it. Do they specialise in the area you’re looking to buy in? This too comes back to location, a good buyers agent won’t just have an intimate knowledge of the local market he’ll have a deep connection with a large majority of selling agents which will open you up to more opportunities just coming onto the market. We get calls all day long from selling agents asking if we have any qualified buyers that might have a brief that fits with a property they are about to list. Selling agents love it - it’s an easy sale for them and they don’t have to support the buyer as well as their seller. HOW ESTABLISHED ARE THEIR NETWORKS? A truly independent buyers agent will always charge you a fee for service, which means a selling agents PA that calls themselves a buyers agent probably isn’t working in your best interest. Nor is a selling agent doubling as a buyers agent and conjuncting with another selling agent so you don’t have to pay a fee. Remember you get what you pay for so the cheapest option today might be the one that ends up costing you the most in years to come. If you’re just starting out on this journey, keep your ears to the ground and that spring in your step and remember to always go with your gut, if it doesn’t feel right, it’s probably not right and there are plenty more fish in the sea. You're looking for an experienced Buyers Agent that specialises in the Gold Coast. Then we may just be the perfect fit for you. And that’s what it’s all about - finding someone that you can trust. Thanks for letting us into the world of your inbox. From here on out, you’ll only be receiving content that’s relevant + inspiring. Enjoy!